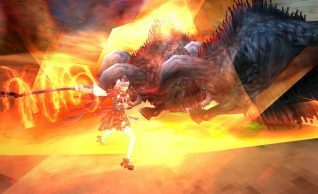 Exhilarating Action MMORPG “Aurcus Online”Experience a New Aurcus Online World!Major Update with Area Expansion, New Skills and Functions! | ASOBIMO,Inc. Tokyo, Japan – ASOBIMO,Inc. 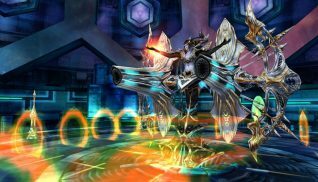 has applied a major update to action MMORPG “Aurcus Online” for smartphones, which will implement a new area, skills, upgrade system, and house function. The application is free to download from Google Play and the App Store. First we will introduce a combined 5 new fields coming into our area map and mission map. 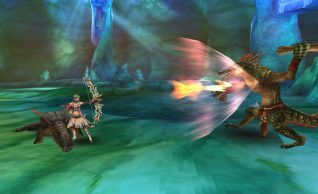 By defeating the tough monsters in the depths of the maps, you will be able to acquire materials for producing new equipment and high-level armor. Also, the character level cap has been increased to 90, and new skills have been added for each Job. 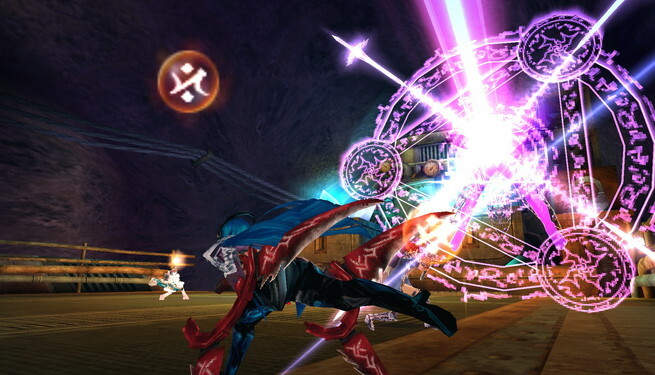 You will be able to obtain a new power with 1 powerful skills being added to the 4 Normal Jobs and 4 EX Jobs. 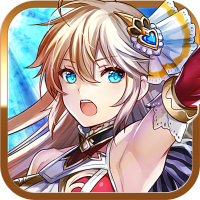 The addition of the Party Matching function where you will be able to further enjoy playing with your friends and the reformation of the in-game functions will take place. Furthermore, you will be able to own your personal house with the addition of the “My House”. 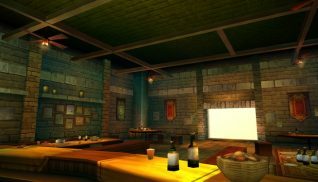 Each character can create their own house and freely set up their house with interior designs to create an original house. 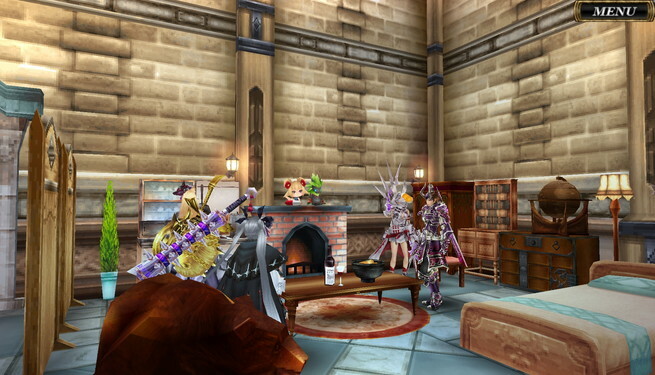 There are various designs for the furniture to place in your house, and they can be made by materials earned from dropped items or mission rewards. 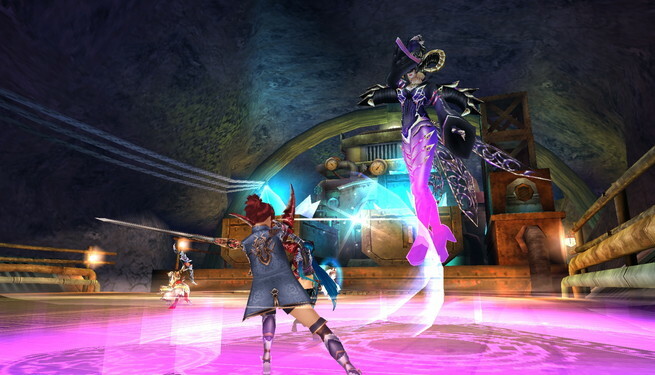 The new “Equipment Upgrade” system that is necessary for going on adventures in Aurcus Online has been remade. 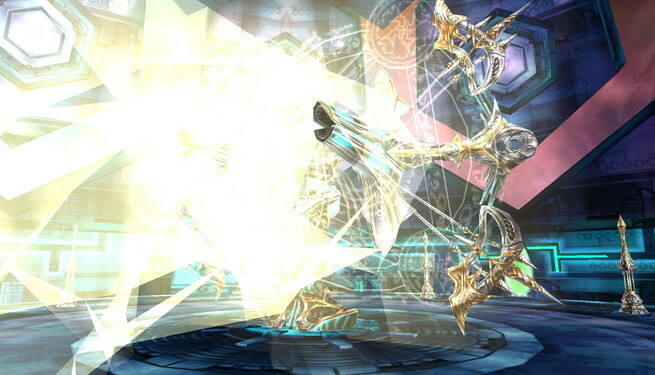 The gamble system up until now of the “Success” and the “Failure” has been removed and a new upgraded “Experience” system has been introduced where the materials used will not be wasted. This is definitely an update filled with enjoyment with the introduction of the “Evo. Function” where you will be able to upgrade your rank once the equipment has been fully upgraded to strengthen your character’s equipment. The remaining 5 maps in the Idris region have been released. The area maps “Juridat Wasteland”, “Qaryat Nujum”, and “Outer Wall Rings Zone” will be the quests developed for the final chapter of the story in the Idris region. In the mission map “Regilir Kingdom Mine” and “Large Ring Tower”, new boss monsters lurk in the depths of the map awaiting to take the lives of players. 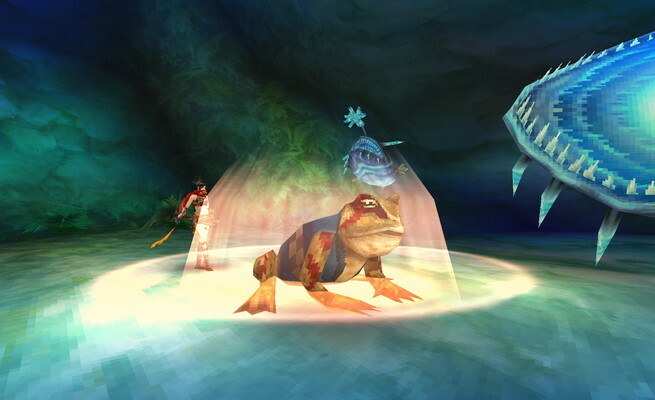 With the increase of the level cap, we have added 1 new skill for each of the Jobs. 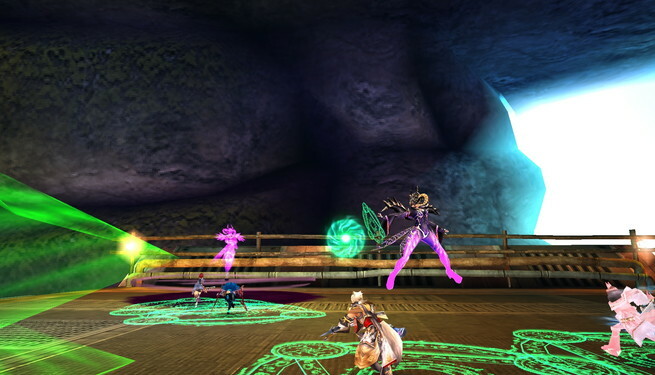 New active skills will be introduced for the 4 normal jobs of Swordsman, Cleric, Magician, and Scout as well as the EX Jobs in Samurai, Shinobi, Guardian, and Mana Slinger. We have added a new convenient “Party Matching” function where you will be able to enjoy contents by challenging missions or events with the cooperation of your party. 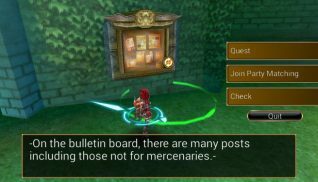 By selecting the conditions that you desire from a party member, you will automatically be placed in a party with a member who have met the requirements. ▲The lobby used to meet members is a saloon like map where travelers gather! We have added a “My House” where you will be able to decorate and build your original house with interiors and furniture. You can also invite friends or visit your friends freely. 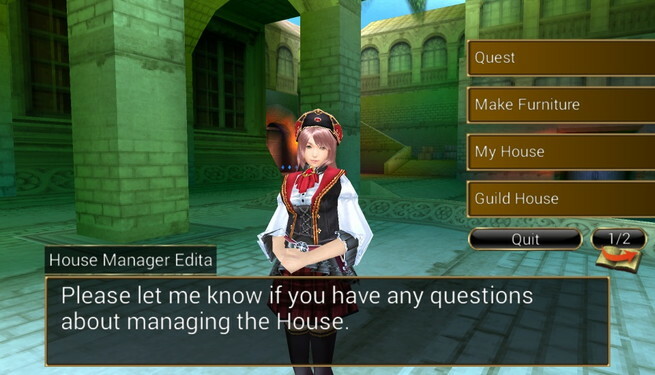 Select the menu from the NPC “House Manager”. 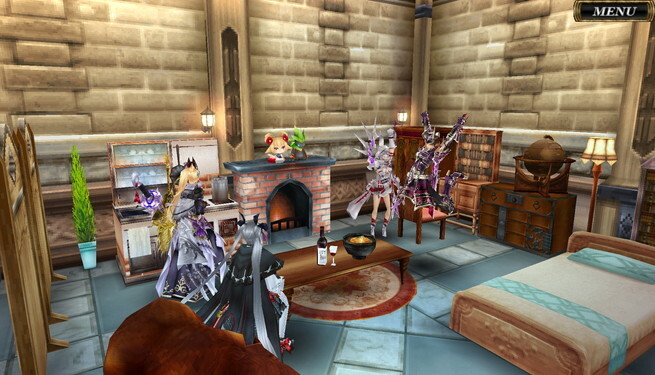 Furniture materials are now purchasable by the (currency in the world of Aurcus) Rugia instead of GP along with the materials obtainable from drop items and mission rewards. Furniture are also purchasable by the way of the Shop using Coins. 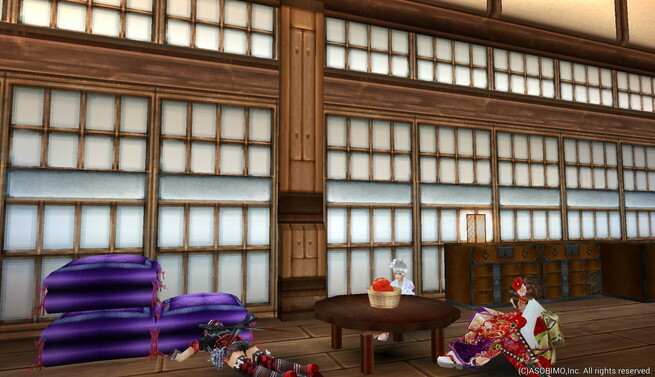 This time as an interior design, the “Japanese Interior” will be introduced. 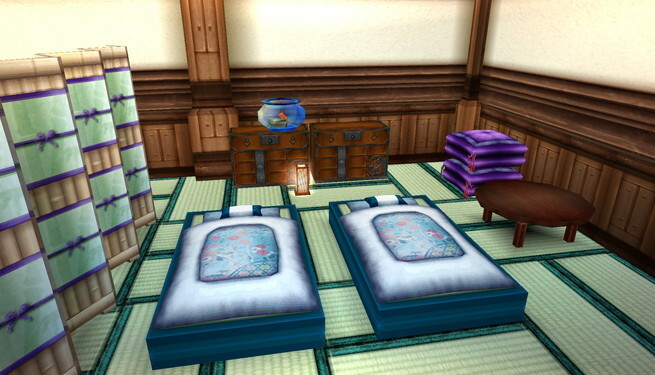 In accordance with the interior, Tatami, Cushion, Japanese Dresser, Wood Bath, and many more Japanese styled furniture will be added to design your room into a traditional Japanese house. We are planning to add many more types of furniture and interiors in the future. ▲Tatami, Cushions, Japanese Tables are a classic furniture in a Japanese living room! 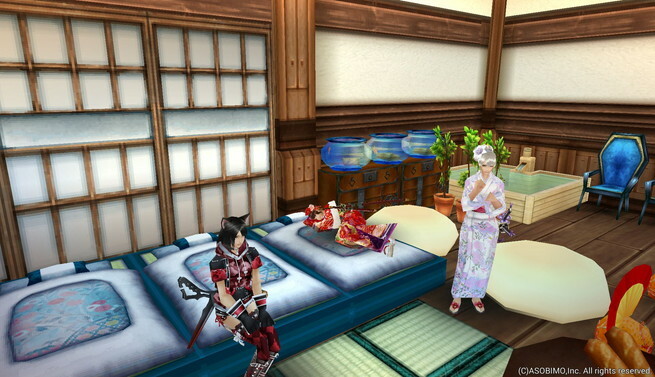 ▲By placing the Wood Bath in the Guild House, you can experience a hot-spring inn atmosphere. 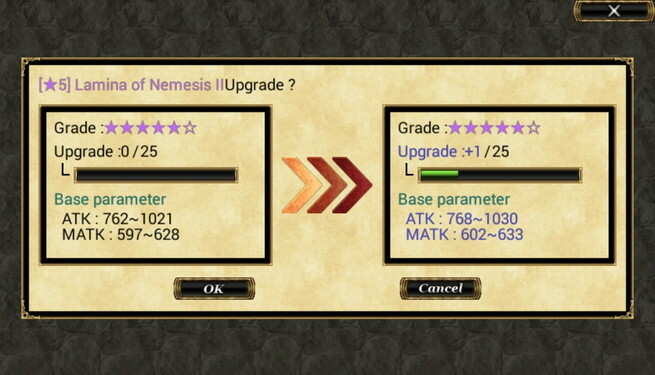 The “Upgrade Function” used to upgrade weapons and armor has been changed to a more convenient “Experience” system. We have discontinued the probability system, to an accumulative experience system where you can use the materials for a more beneficial way to gain experience. 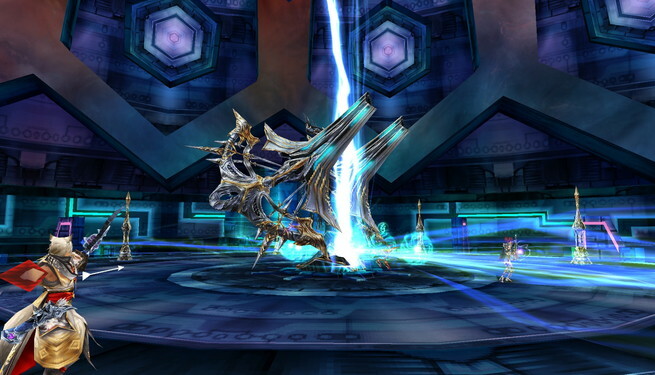 Also, the equipment that have been upgraded to the max will be able to “Evolve” and raise the rank of the equipment. If you have met the requirement, you will be able to evolve the equipment and raised the rank by one. 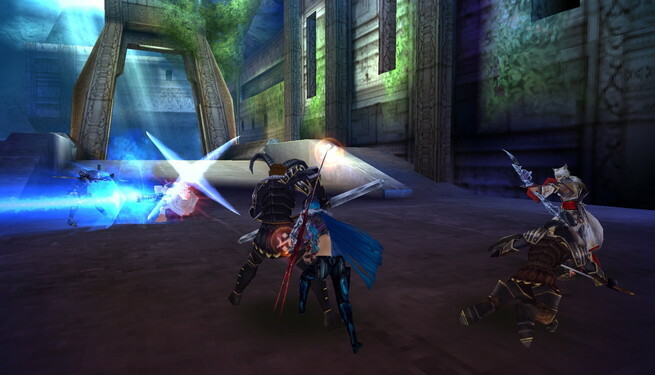 “Aurcus Online” is a 3D Action MMORPG for Smartphones in which the player becomes a member of an armed organization and journey around the world. 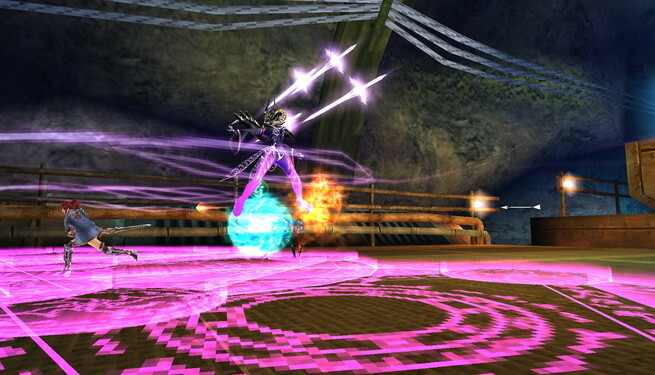 Different from the typical target-style (selecting the target for automatic attacks), the battle of Aurcus Online requires the players to actively move in the attacking range of the target. 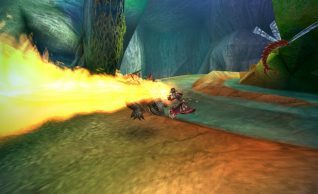 This provides the exhilaration to move the character freely, and more excitement and reality to battles. *Some devices are not compatible/supported.